I commit to pay the Frederick Network Membership Fee of $168 making me a National Member of WCR prior to the class and bring verification OR commit to pay the $168 membership fee on October 3rd at Registration. 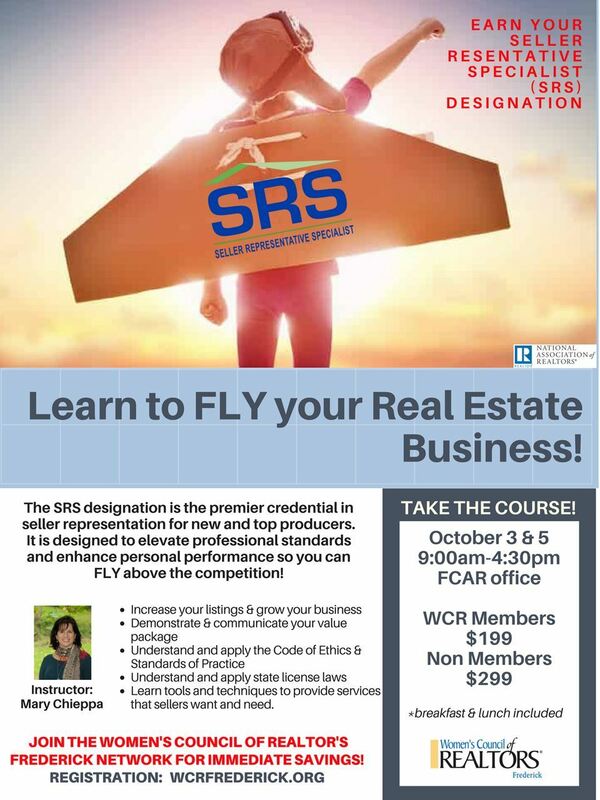 Additional Network WCR Members will receive special pricing and membership will be verified. This is available as a refresher to current SRS designees. You must bring your own book, one will NOT be provided for you. invite you to a special, two-day class! (available only to those that currently hold their SRS certification. you receive the discount pricing. as professionals and leaders in business, the industry and the communities we serve.